Shaving is the ultimate way to exfoliate. When you rake off those whiskers you clean away dead skin cells. Our Nipper’s Natural™ Aftershave Nutrition Mist uses organic Aloe Vera juice to heal damaged skin, distilled Witch Hazel to tone your face, full-spectrum Vitamin E to fight aging and gobble up free radicals, and plant-derived glycerin to keep your face from becoming dry and patchy. 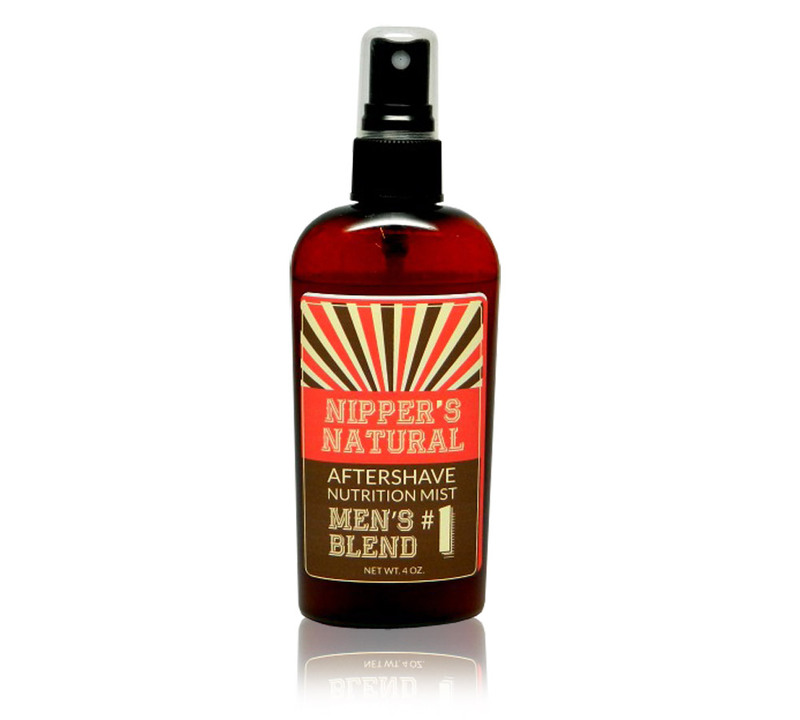 Men’s #1 Blend delivers a masculine, lightly spicy aroma derived from a blend of Virginia cedar, Eucalyptus, and clove leaf essential oils.